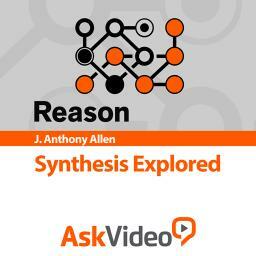 Are you just getting started with Reason? Or perhaps you want to hone your skills, pick up some new ideas or learn others’ techniques for using Reason? We’ve assembled some links of dedicated learning resources for Reason. Whether you prefer a printed book, DVD, online tutorials or classroom setting, there’s probably something for you. Know of something we forgot? Contact us and let us know. Did you know we at Propellerhead do a lot of free tips and tutorials on YouTube too? Make sure you pay our YouTube channel a visit! 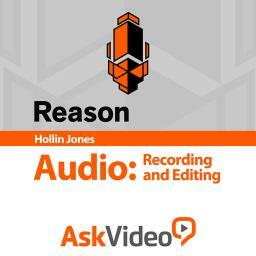 Whether you’re recording a guitar, a vocal or even a whole band, Reason has got you covered. 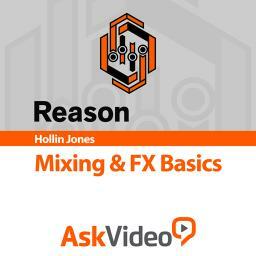 Join Hollin Jones as he explains everything audio in Reason 8! Master Reason with our complete program of courses culminating in a four track EP ready for release. In addition to achieving a complete overview of the composition process in Reason & Record you’ll also earn the Dubspot Producer’s Certificate in Reason & Record. 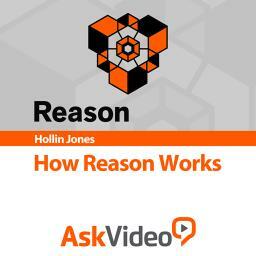 This intensive weekend workshop is designed to introduce students to Reason. The goal is to teach students how to use Reason to compose beats, melodies and sounds in order to create original songs. 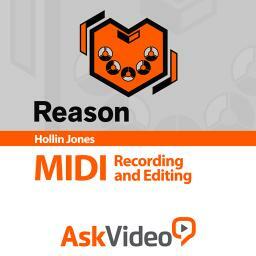 An in-depth exploration of Propellerheads Reason - the tool that changed electronic music production forever. 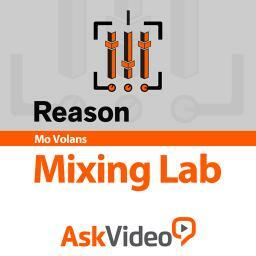 Now a staple in every studio from Hip-Hop to IDM, Reason is one of the fastest creation tools out there, with good reason. Students will learn about the components of the tools including all of the instruments and the various sound creation possibilities available. Leverage the power of Pro Tools and Reason using ReWire technology, and gain a comprehensive understanding of how these powerful programs work together in the remixing process. Learn the techniques that hip-hop producers use to create hit songs. Learn writing and production considerations unique to hip-hop, how to analyze and recreate different styles of hip-hop, and how to use this foundation to produce your own songs using Propellerhead’s Reason software. Matt Piper shows you how to get set up with Reason and then moves straight into making music: recording guitar, bass, and software instruments, as well as creating beats and sampling audio. He then demonstrates the tools used for editing, including quantization, pitch correction, time stretching, tempo, and time signature automation. Finally, you'll learn how to mix your track, and prep and export the mix for handing it off to a mastering engineer or for mastering it on your own. In this course, author Josh Harris shows how to create radio and club arrangements, and a radio edit of a club mix. He utilizes four different digital audio workstations (DAWs)—Pro Tools, Ableton Live, Logic, and Reason—and shows how to build different arrangements from the ground up, by adding guitars, drums, bass, and synths. Each DAW explores different types of arranging scenarios. In this course, author Josh Harris demonstrates time-stretching techniques in four of the major digital audio workstations: Pro Tools, Logic Pro, Reason, and Ableton Live. Josh covers the basic time-stretching treatments, where minimal tempo adjustment is needed, and then moves into more difficult territory. Each lesson employs real-world musical examples to clearly show where each time-stretching technique is useful and how the results of time stretching affect the sound of a song. 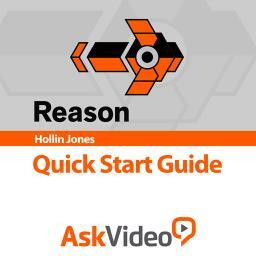 Our brand new Reason Level 1 course provides students with all the knowledge necessary to start making music with Reason. As well as being guided through all the main areas of the software, the modules also provide more general information about music, performance and production. 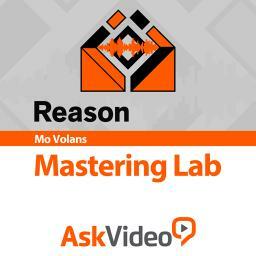 Our brand new Level 2 Advanced Reason Online Course continues where the Level 1 course leaves off, and provides experienced Reason users with all the knowledge needed to get the very best out of all the advanced features and workflow methods available in Reason. 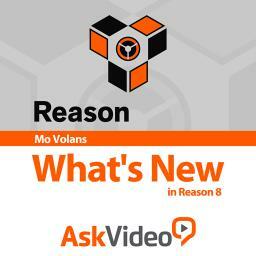 Perfect for those who have just bought the latest installment of Propellerhead Reason, which includes new instruments, effects processors, a new mixer, and the ability to be able to record, import and edit audio directly in the sequencer. An in-depth exploration of Propellerheads Reason – the tool that changed electronic music production forever. Students will learn about the components of the tools including all of the instruments and the various sound creation possibilities available.